86 posts categorized "Health Issues, AIDS"
Oakland -- Half a million condoms are here in Oakland for the taking. The Flowers Heritage Foundation acquired one million latex prophylactics for a vast giveaway program in April - distributing them to local agencies such as the San Francisco AIDS Foundation, Haight Ashbury Free Clinics and the Black Coalition on AIDS. But when those programs collected all they needed, the "Condom Room" at Flowers headquarters was still stacked with 500 boxes, each containing 1,000 of the rubber devices.The foundation was created by pharmacist Syl Flowers, whose company distributes AIDS drugs for a state program. "We want to give something back to the community," said Gregory Edwards, executive director of the foundation. With the local condom cabinets full, Edwards has been shipping the goods to other places in need - as far away as Zimbabwe. Meanwhile, organizations seeking any amount of donated condoms to promote HIV prevention can call the foundation at (510) 587-2662. It starts and ends with the actions of people. 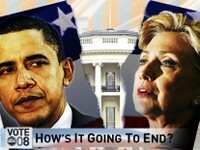 We are witnessing the complete annihilation of entire communities of people. 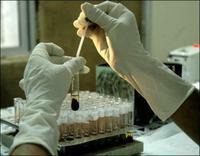 Human beings, like you and me, infected with the deadliest virus known to man: HIV/AIDS. The virus has led to the deaths of millions of fathers, mothers, sons and daughters. The most affected are children. This devastating disease has created over 13 million orphans in Africa alone. In fact, before AIDS hit Africa the word ‘orphan’ did not even exist. Africa has been called the cradle of civilization, where all life began. It is where our roots are. You could call it “Mother Africa”. The tragic irony is what the continent needs most is ‘Mothers’ fighting to keep their children alive in a place where one child dies every minute. This has become a race against time, not just for Africa, but for the entire human race. AND YET THE VIRUS CAN BE STOPPED. Through the use of life-saving antiretroviral drugs easily available in the West, but badly needed in Africa. These drugs provide treatment that has transformed the lives of people with HIV / AIDS in the West, returning them from sickness to health. But in Africa, fewer than 5% of children with HIV / AIDS. 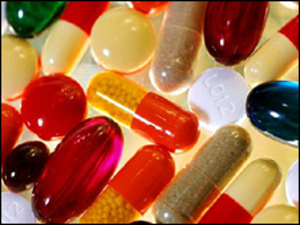 have access to these life-saving drugs. And parents are dying mercilessly in front of their children. "Alicia in Africa: Journey to the Motherland" has been given to you free of in hopes that Alicia's message will reach millions around the globe. Now that you’ve gone on the journey, you have the opportunity to make a difference in the lives of those you just met. 100% of what you donate will support the beautiful brothers and sisters you have met along your journey. Join Alicia in caring for these children and families. Become a monthly donor and do your part to end the unnecessary dying. You can provide care for a child with no parents or save the life or a mother living with AIDS. Join Alicia in caring for these children and families. Become a monthly donor and do your part to end the unnecessary dying. You can provide care for a child with no parents or save the life or a mother living with AIDS. Send an e-vite to as many friends, classmates, family members & neighbors as possible. 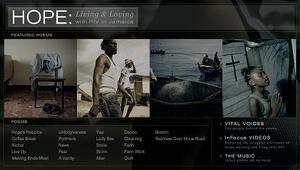 Hope: Living and Loving with HIV in Jamaica brings together poetry, essays, documentaries, short video interviews, music, photography and the interactive website LiveHopeLove.com. This project builds on the travels of poet and writer Kwame Dawes who returned to the country of his youth to speak with Jamaicans about the impact HIV has had on them and their country. It is by far the most unique blending of Pulitzer Center coverage of a pressing underreported international issue – this one on America’s doorstep – and diverse media to reach the American public. 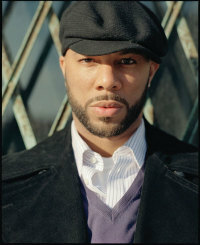 Common launched a new HIV/AIDS awareness campaign yesterday on MTV’s TRL. He is hosting a contest that will give one lucky winner the chance for Common to spit their rhyme in a Public Service Announcement. This will be done for National HIV Testing Day, which is June 27th. “It’s important to know your status by getting tested because HIV/AIDS is taking a lot of lives in our community and around the world,” Common said. “I had an uncle succumb to HIV, so I’ve personally felt the impact of the disease. Your lyrics can really have an affect on people’s lives and I’ve seen it happen.”So if you think you have the skills then write your best rhyme and submit it to the contest. The one-minute PSA will air on MTV2 and mtvU, MTV’s college network. To Enter visit: www.aminutecontest.com or www.itsyoursexlife.com. Some sobering, terrifying news. I'm sadly reminded that history is forever repeating. Are young gay men doomed to repeat the terrors of their forefathers? 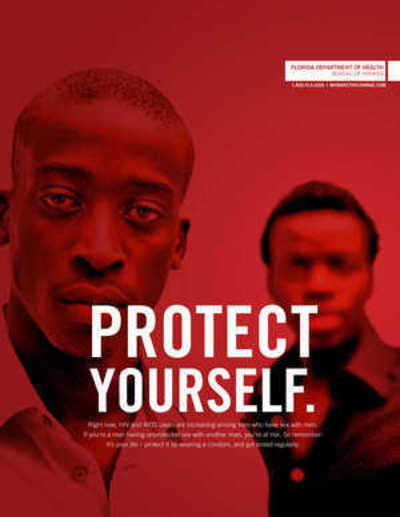 What if your significant other told you that they were infected with HIV or AIDS? What would you do? Would you stay in the relationship or would you leave? That is the question I've asked myself many times since learning that my best friend was infected by her fiancé. She chose to stay for many reasons but the main reason she chose to stay was out of fear of loneliness. While I realize that many people remain in relationships for the wrong reasons, at some point you have to wonder if it's really worth it. I want to share three stories with you about choices: The choice to stay; the choice to leave; and the choice not to reveal status. Tia's Story: The choice to stay Back in 1993 there wasn't enough information about HIV and AIDS for Tia to make an educated decision. At the request of her fiancé, she got tested. She tested positive but chose to stay even after she found out that they were in different stages of the virus. She battled with feelings of shame, fear, embarrassment and hopelessness. What would people say about her if they knew that she was infected? How would they treat her? Would they think she was promiscuous? Would people become insensitive and talk behind her back? Would they think she was gay? How would the family treat her???? Years later, I found out that these were all questions that went through her mind. The shame and embarrassment it would cause her parents; the agony of being treated like a plague; and every other feeling of hopelessness. It was safer to stay and live a lie; put on a happy face-a mask than to face the disease. 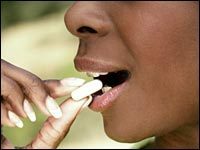 It was less stressful to go on day to day like nothing happened than to worry about taking 25 pills a day. It was more interesting to sit back and watch other women flirt with her fiancée in front of her and not know that he was infected...if only they knew. That was then, this is now... I often wonder that with all that we know about HIV/AIDS today, would she choose to stay? In April 2004, Jamie*, an old Tia's Foundation volunteer told me that her brother, James*, was infected-full blown AIDS. She felt compelled to call one of his girlfriends, Sondra, and encourage her to get tested. Three weeks after that conversation, Sondra* found out that she was HIV positive. Confused, hurt and devastated, she confided in me and Jamie. She kept asking, "How could your brother do this to me?" As we listened to her curse him, scream and cry, I felt compelled to share my story of being affected. I thought that it would help her understand that she wasn't alone. Sondra explained that she was confused; she didn't know whether to stay or to leave. I suggested professional counseling for her first, then eventually for her sons. Like Tia, she was filled with fear, shame, embarrassment and hopelessness. When we spoke weeks later, she decided to leave and get help. I felt so proud of her.